Sarona Design hatch spoiler for the 2013+ Genesis Coupe. 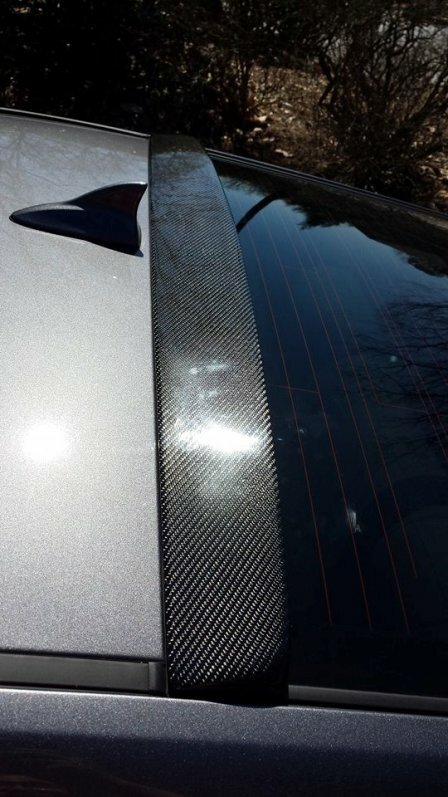 Made of genuine A-grade carbon fiber and is attached to the frame of the rear window with industrial-strength double-sided tape or silicone adhesive. (Not included). The carbon fiber surface is treated with a UV protection layer and clearcoat to prevent fading or discoloration.